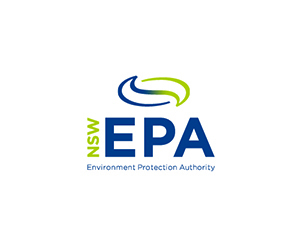 The CWCEWA in conjunction with Bathurst, Orange and Dubbo Councils were successful in obtaining funding for a Regional Capacity Building project in Contaminated Land Management for the Central West Councils from the New South Wales Government through the EPA’s Contaminated Land Management Program under funding by the NSW Environmental Trust. The Contamination Central project will run from January 2015 until June 2017 with a Project Officer based at Orange City Council working with the CWCEWA partner Councils as well as Bourke and Weddin Councils. Project outcomes will include developing a Regional Contaminated Land Policy template for Councils to adopt and assist Councils in establishing record and management systems so that they can provide advice to the community about how potentially contaminated land can be managed and remediated so that it no longer poses any risk to the environment or the community. The project will improve Council staff ability to monitor and assess land used for potentially contaminating activities in the past so that it can be safely rehabilitated and allow for redevelopment that will ultimately contribute to regional economic development. The Central NSW Regional Contaminated Land Policy Template has been finalised for distribution to the Councils in the NSW Central West. Councils will need to customize the policy template in regards to relevant contact details and Local Environmental Plan provisions before it is placed on Public Exhibition. Each council will manage their own exhibition and adoption process. It is hoped that most Councils will have adopted the policy within the next three months. Contamination Central partnered with Australasian Land and Groundwater Association (ALGA) to deliver the inaugural Regional Contaminated Land Conference in Dubbo. This was a great opportunity for Councils to gain access to some of the latest information and developments in Contaminated Land Management especially targeting the regional perspective. Look out for the 2017 Conference details. Looking for information about Contaminated Land Management and how it affects land owners, buyers and developers. Click here.